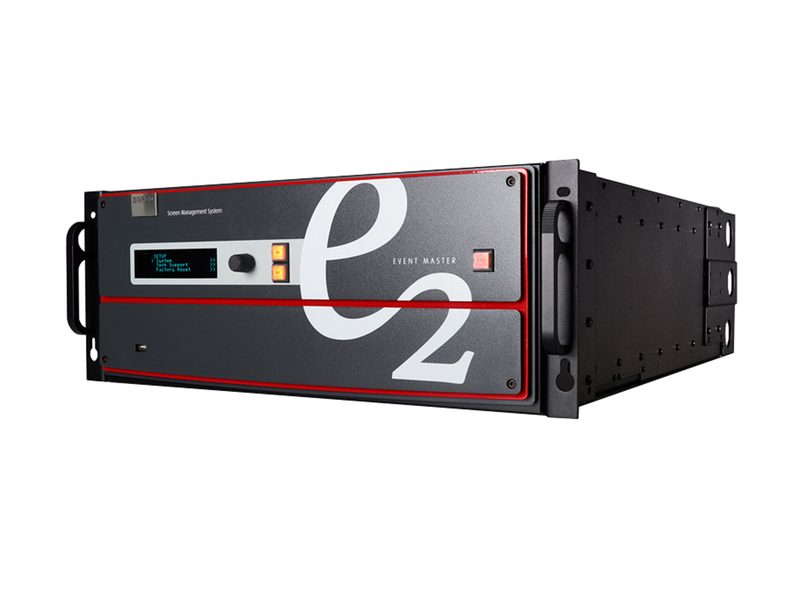 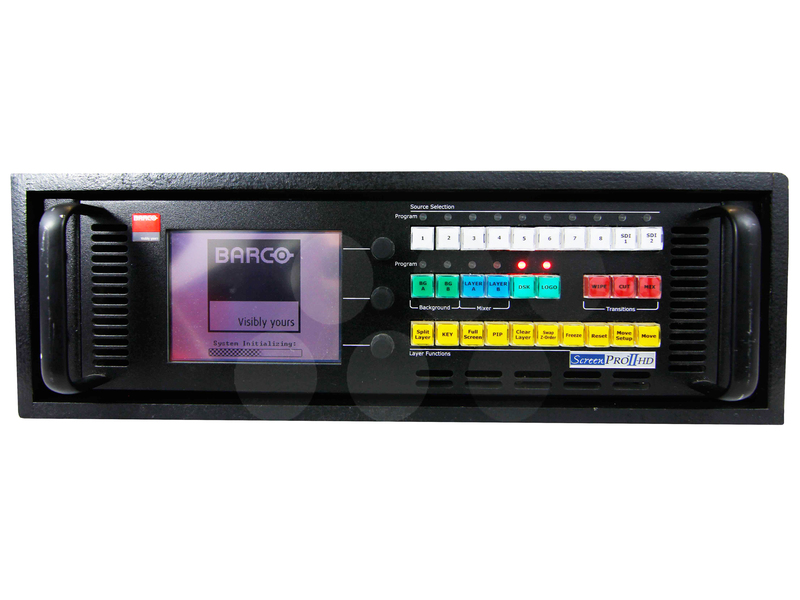 The Barco Image Pro II Dual is an advanced high performance all-in-one video scaler, scan converter, switcher and transcoder converting any input signal format to any output format. 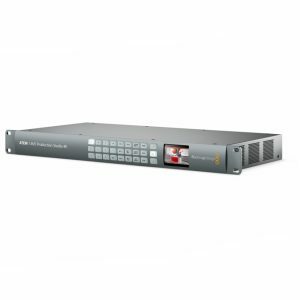 Image Pro II Dual supports universal analogue, DVI single and dual link, HDMI, display port, dual SD/HD/3G SDI signal formats. 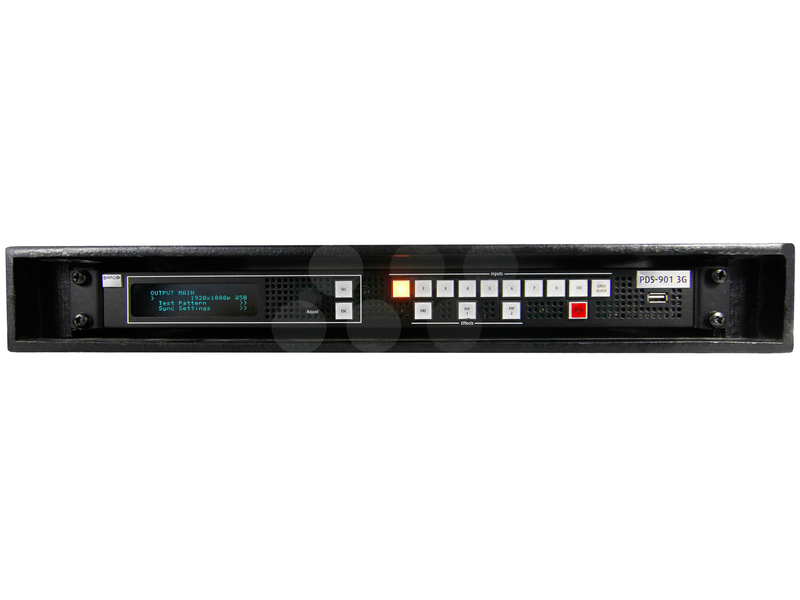 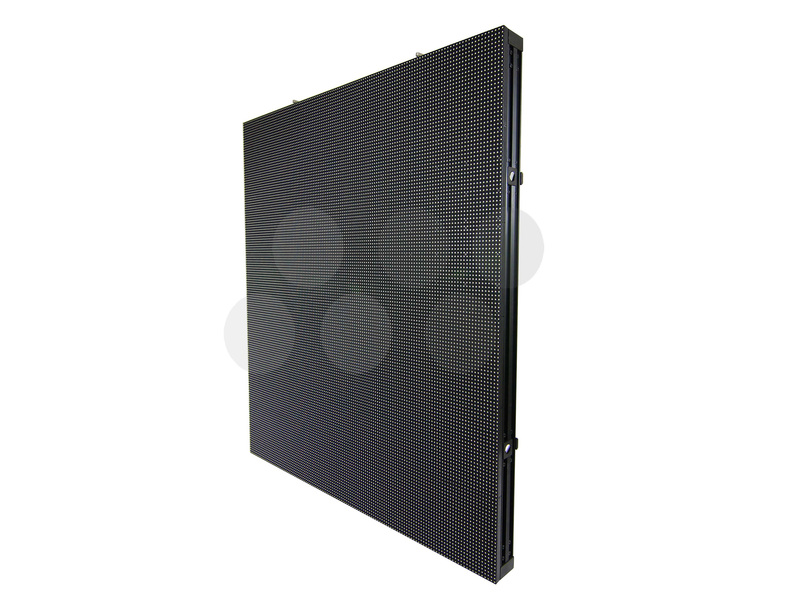 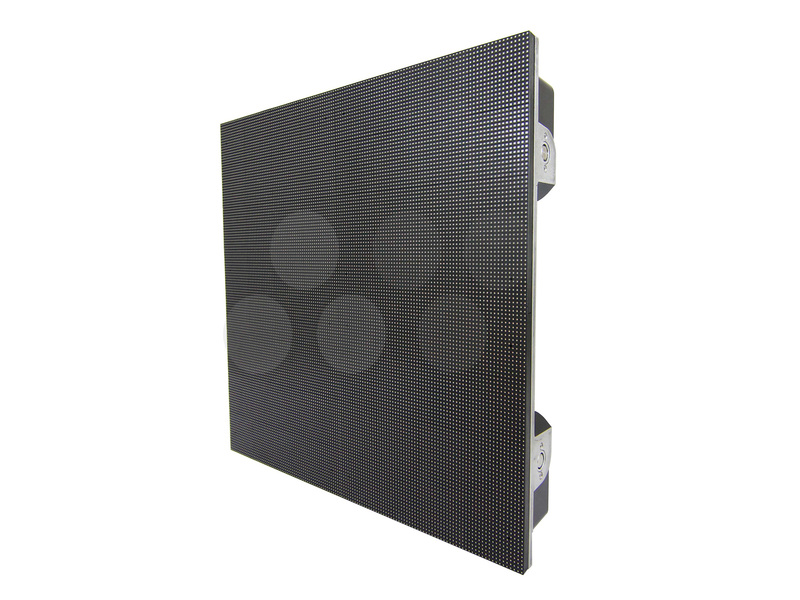 Loop-through outputs are provided for the Analogue, DVI and HD-SDI input and genlock signals. 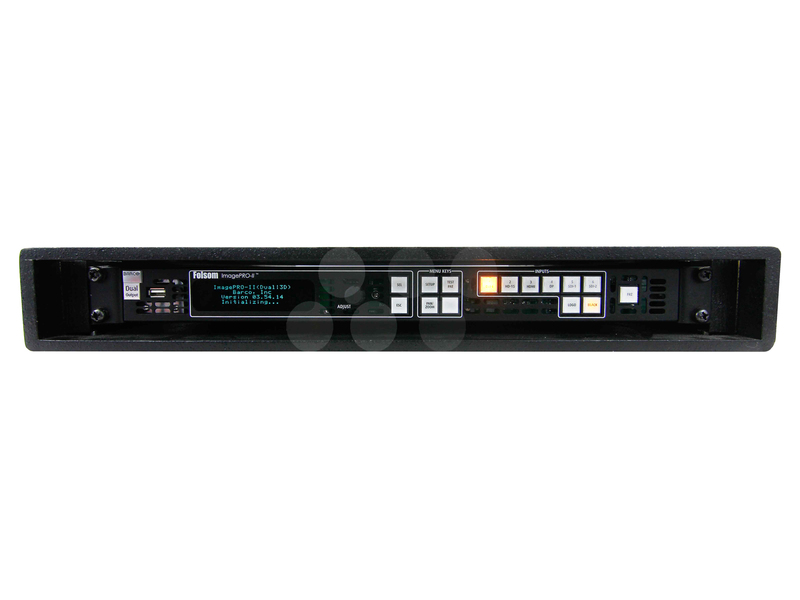 The Dual also features 3D Sync in and out.